This oil on board painting was produced in 1942, six years before the establishment of the NHS. 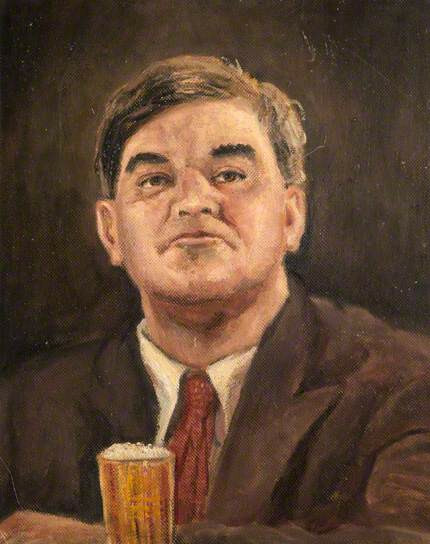 The realist mode of depiction, sombre colours used and inclusion of a glass of beer help portray Bevan as an 'everyday' man of the people. The image was probably taken from a newspaper or magazine image of Bevan.